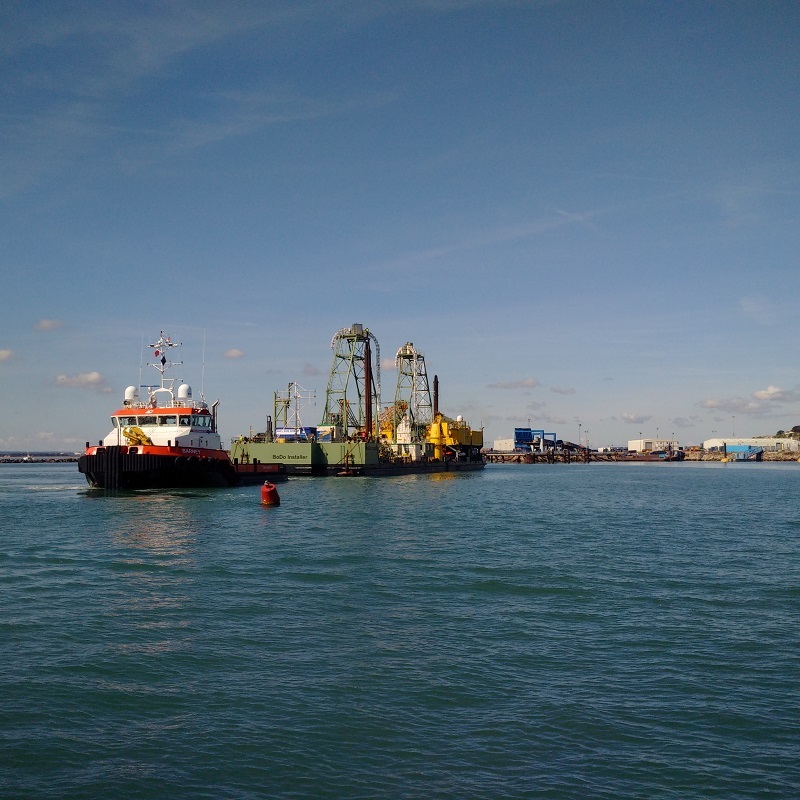 I had been planning this onward journey across the Thames Estuary and up the River Orwell to Ipswich from Ramsgate for some time and was relieved to note from the early morning marine weather forecasts that the sea was going to be as smooth as possible today. There was no time to lose as I prepared Lady Martina for the trip, setting up waypoints and courses in two GPS sets and my Vasari boat computer. 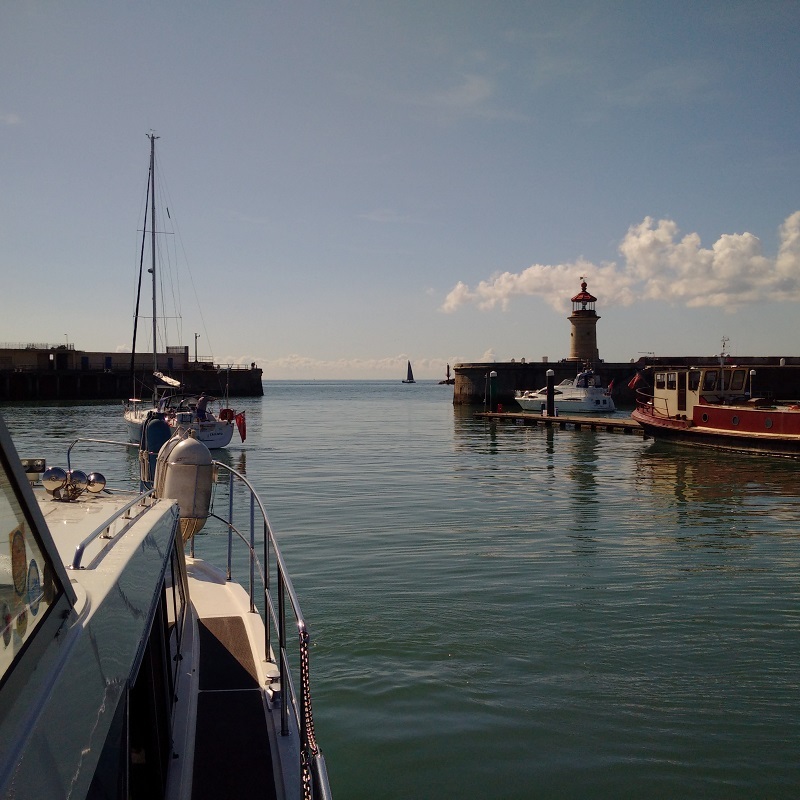 I just about managed to get Lady Martina ready to leave by the time that the barrier and bridge had been lifted to allow us to leave the inner Ramsgate Marina and wait with others to leave the harbour after a huge tug and load had entered the port and was secure out of the way in the outer harbour. 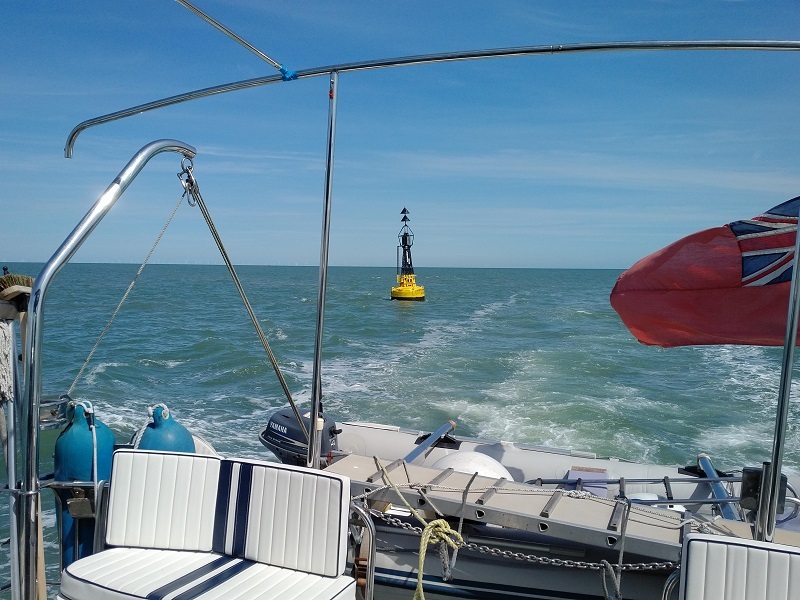 It was a very long trip, lasting over 8 hours at 7 knots through the water and the sea was for the most part smooth and slight until later in the day when we were approaching Harwich and before we reached the shelter of the River Orwell on our way up to Ipswich. It was a good trip until we tried to get through Ipswich Lock into the Dock, when another display of crass incompetence by the lock-keeper delayed us by nearly two hours! I then found a good birth in Ipswich Haven marina and the skipper of a trip boat, who had witnessed our plight, stopped by to sympathise and say how polite I had been, faced with that frustrating delay!